Essential mindfulness meditations complement the teachings in the book of the same title. Discuss the four foundations of mindfulness as a way to maintain moment-by-moment mindfulness, including mindfulness of the body, mindfulness of feelings, mindfulness of mind and mindfulness of thought. 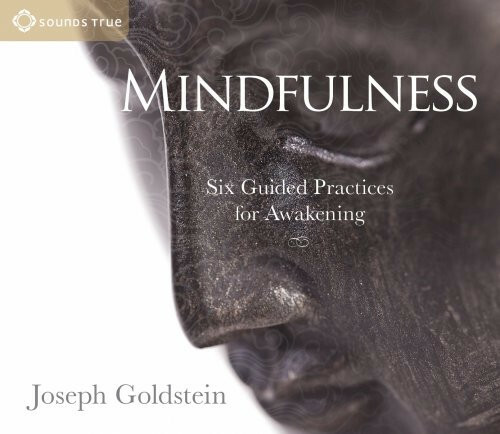 Very good guided meditaiton from Joseph Goldstein. Straight to the heart of the Satipatthana Sutta for all practical purposes. This is a beautiful and unadorned collection of guided practices. It is easy to follow while offering space for the student's individual inquiry and experience of wandering. He is helpful but never patronising and presents in a style that is assured but unpretentious.